Actor Richard Latham has been a bastion of the West End for more years than I care to mention and this versatile and well respected actor is starring at the Exchange Studio, Hazlitt Theatre on Friday 22nd April playing ‘Austin’ in European Arts Company and Dual Theatre’s production of ‘Beau Brummell – An Elegant Madness’. Interviewing Richard was a joy – he is evidently a man comfortable in his own skin and loves the life he leads. Having caught the acting bug after performing in Nottingham Operatic Society’s version of ‘The King and I’ when he was young, Richard knew what he wanted to do in life. 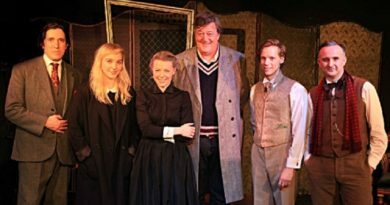 He trained at the Bristol Old Vic, but before his drama school education, Richard went to Clarendon College, Nottingham, with a group of students who have all achieved great acting success. Richard attended the Bristol Old Vic at the same time as Christopher Biggins (Porridge, I, Claudius, I’m a Celebrity…Me Out of Here!) 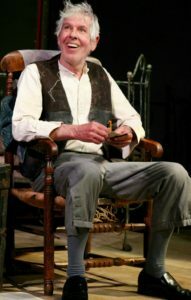 and Jeremy Irons (The Real Thing, The French Lieutenant’s Woman, Kafka, The Lion King) and performed with Jeremy Irons on a tour of South America after leaving drama school. Hearing the string of famous names Richard trained with came as no surprise for me – to have achieved such longevity in what is a competitive industry means Richard has to be good at what he does and having such remarkable peers must have given him added inspiration. Richard as ‘Austin’ in ‘Beau Brummell – An Elegant Madness’. 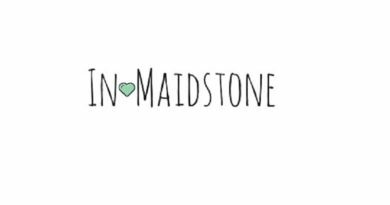 The fact that Richard is performing in Maidstone (starring alongside another mainstay of British theatre, Sean Brosnan) seems to have crept up on us quietly. Richard does not seem to be one to shout about his roles, yet I feel he thoroughly enjoys being an actor – despite the miles this entails, living out of a suitcase and being away from home. 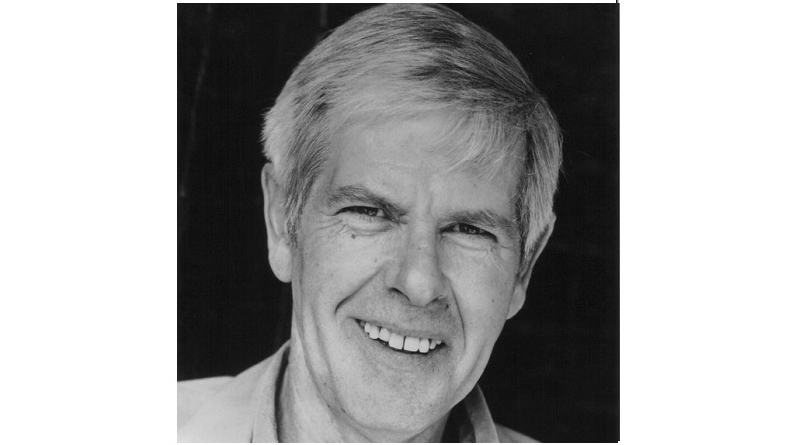 Richard has played many roles (he says he has his experience working within repertoire theatre is to thank for the versatility of his acting range) that to list them all would take too long. 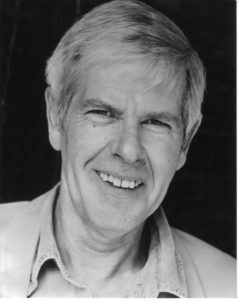 His C.V includes ‘Whitehall Farces’ with Sir Brian Rix, numerous Royal Shakespeare Company plays (including playing opposite Mia Farrow), ‘The Clandestine Marriage’ with Alastair Sim and Sir Ian McKellen through to ‘Chekhov Shorts’, ‘A Slight Ache’, ‘The Picture of Dorian Gray’, ‘The Strange Case of Dr. Jekyll and Mr. Hyde’…the list goes on and that is just his theatre career, Richard is also a regular on screen too. Surprisingly though there was a time when acting was not Richard’s priority: “I gave up at one point!” Richard divulges, “…I was on tour – I used to complete a 26 week tour followed by 6 months in the West End, another 26 week tour would follow and so on. One morning when I was leaving, my 2 year old son put his arms around my legs and said ‘Daddy, Daddy, William needs you!’” That heart melting moment led to Richard re-evaluating life and he stopped acting to ensure he was there for his son. He didn’t start acting again until his son left school. ‘Beau Brummell – An Elegant Madness’ was so well received last week in Dusseldorf the audience demanded 5 curtain calls and bestowed rousing applause upon Richard and Sean. The applause did not just come at the end of the performance either – Act two started with applause as well! Moments like those experienced in Dusseldorf are professional highlights for actors and Richard always tries to inject fun into his work life. He doesn’t believe in a bad audience: “You just have to work them out and build them up” he says, there speaks a voice of experience. When talking of his affinity with fellow actors he told me of his frustration during ‘Whitehall Farces’ when his line was not receiving the laugh it should have got. On stage with him was Sir. Brian Rix who asked him every night why he felt the line wasn’t working. Richard was stumped, until another actor tipped him off, telling him that just before Richard delivered his comic line, Brian would make a movement to take the audience’s focus away. It is the type of tease thespians love and Richard saw the funny side, ‘You have to have fun’. 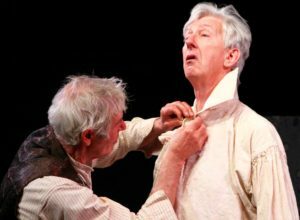 ‘Beau Brummell – An Elegant Madness’ is a play with just two actors and Richard and Sean get into character about half an hour before going on stage: “Sean assumes the role of master easily except he irons his own stock!” Richard quips. As we talk about his career I can hear the passion and sheer joy Richard truly has for his profession – and most importantly he seems to enjoy every minute, “It’s a nice life but you have to love it. That’s me really!” over the phone I swear I can hear him smile. Catch Richard Latham and Sean Brosnan at the Exchange Studio, Hazlitt Theatre tonight in ‘Beau Brummell – An Elegant Madness’ at 7.30pm.